Did I mention that I design and build websites? Yes, for 18+ years now. Sometimes building websites is like baking bread. Too bad we can’t eat websites. My first big website was in 1999/2000. That site, as my close friends will recall, was ecoexplorer.com, which we let lapse. Young and foolish, my friend Nick and I thought we would start an ecotourism education company that would support our bike trip across Canada. It kind of did for a while, but was mainly used for promoting our cycling itinerary and communicating to the masses through a very early “blog” the importance of supporting organic farming and non GMO foods. Since then, I’ve implemented many web designs, the majority of which are now WordPress powered. Also, my larger clients are hosted through WP Engine, a superior Managed WordPress host that takes care of all I.T. issues on your behalf. As web designers and owners, we don’t want to worry about mastering server technology AND keep up with the tools that control web page layouts, content interactivity, and site functionality. You just want your domain name to load a site that works. 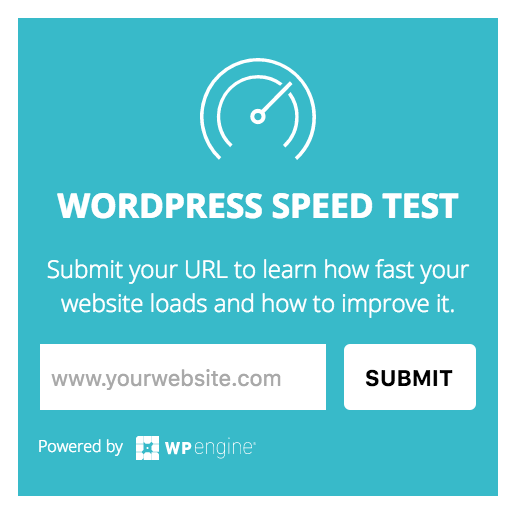 You can test how fast your website is by using the WP Engine site speed test, which will email you a report with some great tips on how to improve things. Of course, they’ll mention their web hosting, but for good reason.